I read this article and found it very interesting, thought it might be something for you. 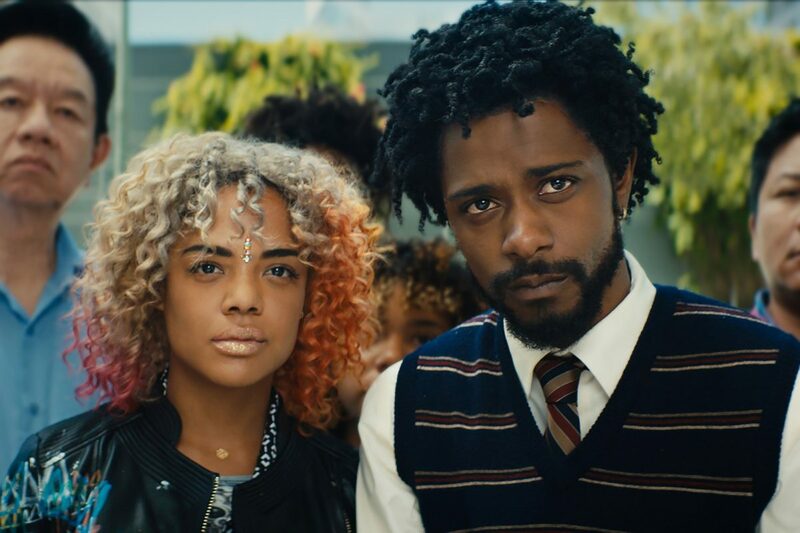 The article is called Cinema Review: Sorry to Bother You and is located at https://www.totallydublin.ie/film/cinema-reviews/cinema-review-sorry-to-bother-you/. There will be inevitable comparisons to Get Out but really, other than a brilliantly barbed sense of humour and a double helping of Lakeith Stanfield, Sorry to Bother You is a very different film. Whereas Get Out had a very direct point to make about systemic racism in modern day America and kept to that point all the way through its horror show structure, Sorry to Bother You is a much more free-wheeling affair and veers right off into absurdity in its denouement. Stanfield plays telemarketer Cassius Green in a narrative that shares the same satirical bite as Spike Lee’s BlacKkKlansman in that its protagonist also finds career success when using his ‘white voice’ (David Cross). Green’s success launches him up the corporate ladder while in paradoxical tandem; his old office buddies are planning a protest against the oppressive practices of the same corporation. He is torn between all the rights and wrongs but money is money and when he reaches the top of the ladder, things aren’t quite what he expected. Or what we the audience had probably expected. Sorry to Bother You is a fun film with a fine supporting cast (Tessa Thompson, Armie Hammer, Terry Crews, Steven Yeun, Danny Glover, Patton Oswalt) and for what it might lack in political hoodwinking and tight social commentary it instead serves up just the right amount of ingenious unapologetic batshit craziness. Sorry to Bother You is its own beast and heralds the beginnings of an illustrious career for first time director Boots Riley.